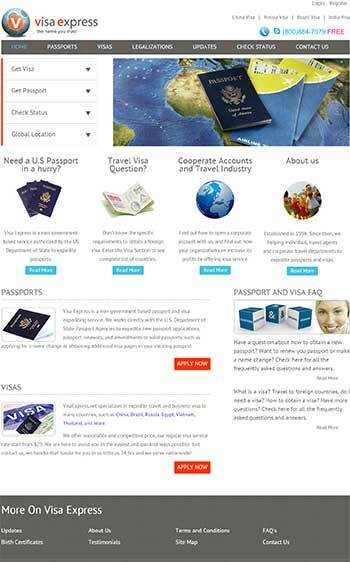 Visa Express which was previously Visa 4 You is a passport and visa expediting service in Houston Texas. If you’re getting ready for your important international trip and suddenly realize that you need to renew your existing visa, apply for a new visa or apply for a passport, don’t worry – Visa Express is here to help. Instead of waiting the normal three to six week processing time for visa and passport documents (which can be extended dramatically during the peak travel months of the year), just download and fill out the appropriate paperwork from the Internet and let Visa Express handle everything else for you on your behalf. They can have your official travel documents in hand in as little as 24 to 48 hours, making sure that you’re more than ready for all of the fun that you’re about to have on your vacation or business trip abroad.